Google Inc. has added some new management features to its cloud platform that make it easier for customers to spin up and manage virtual machines, which are computers emulated in software for more speed and flexibility. Google Compute Engine’s “instance templates” have been updated so that organizations can create VM instances from existing templates. Users can create VMs identical to the template, or they can make modifications to the VMs for specific use cases. Another new feature allows organizations to save an existing VM instance’s configuration settings to create a new template. Google’s instance templates are essentially just application programming interfaces that organizations can use to define a VM’s properties, such as the disk configuration, machine type and operating system type. Google product manager Sophia Yang said in a blog post late last week that the new management features provide users with more flexibility when building and managing their instances. Google has also made it easier to configure multiple data disks or application disks for virtual machine instances. Yang said users now have the option to setup multiple persistent disks as part of the process for creating new VM instances. This means that users can create data disks separate from the operating system disk. Another update allows users to create an image of a running VM instance more easily, without disrupting any services running on that VM. Users might want to create a VM image for backup, cloning or sharing purposes, Yang said. The last update is designed to safeguard against accidental deletion of VM images, Yang said. She pointed out that accidents can and do happen, and sometimes lead to interruptions of important services. With the update, administrators can now set flags against actions that could cause the accidental deletion of a running VM, preventing any disruption of instances running important applications or workloads. 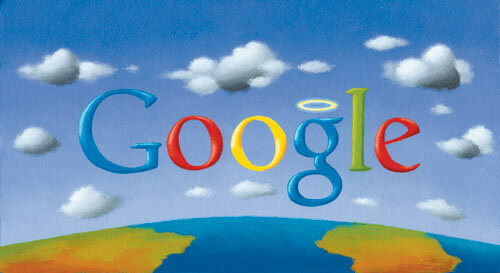 Google said that all of the new features are available now, though some are still in beta.